Dinosaur pinata for your dinosaur party! 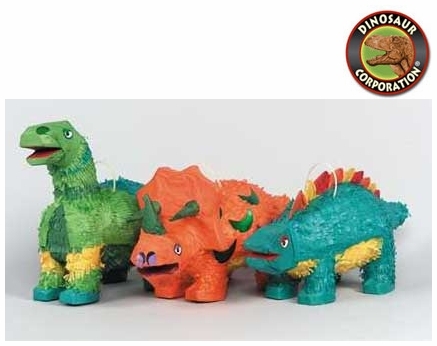 Green pinata Brontosaurus, orange pinata Triceratops and blue pinata Stegosaurus. ▪ Jurassic World Deluxe T-REX Exclusive Happy Birthday PHOTO Banner, 60"
Jurassic World Deluxe T-REX Exclusive Happy Birthday PHOTO Banner, 60"